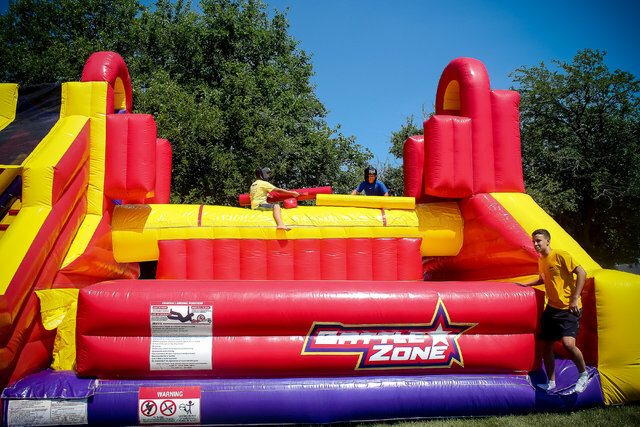 Throughout history, a jousting beam, in one form or another, has provided wild entertainment and competition for thousands of fans and competitors alike! Now for the first time ever, you have both the thrill of battling your opponent from great heights with the safety of falling on our air bag system. It starts off with families and friends combating one another, but by the end of the day, it has become a free-for-all with everyone wanting to take down the ‘King-of-the-Hill’.